Novartis is different from any other major pharmaceutical company in that it also has a strong presence in the generic market. Sandoz – one of its divisions – brought in 18% of the company’s total sales in 2008. With $7.6 billion in annual sales, Sandoz is the largest generic manufacturer under a major pharmaceutical company. This investment in the generic market allows Novartis to be somewhat insulated from patent expiration. At the same time, however, the investment in generics may complicate Novarti+s’s stance towards patent issues since it has large stakes on both sides of the issue. Novartis faces many of the challenges of other pharmaceutical companies, including issues surrounding patent expiration and FDA approval. In addition, there is growing pressure in the US and abroad to lower the price of medication. Again, some of these challenges may be buffered by Novartis’s position in the generics market. The topic of this report- “Functions of Novartis (Bangladesh) Limited in contrast of Pharmaceuticals industry”, was chosen with the objective to present a scenario of Novartis (Bangladesh) Limited in the light of pharmaceuticals industry. The preparation of this report has been initiated by generating ideas based on the basic requirements of the study. Ideas have been designed regarding the overall presentation of the report, its appropriate contents, relevant information sources and processes. 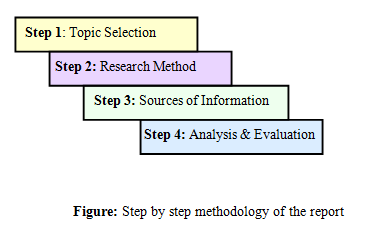 In the second stage, few concepts have been developed for the research procedures. The method for this study was simply collecting data from relevant sources (Basically from the history of Novartis (Bangladesh) Limited and direct interview from the respective product/portfolio managers, Key accounts Managers) and analyze them to generate relevant report. And the statistical data were processed on MS Excel. Interview:A significant amount of information was collected through interviewing the Portfolio Managers (Marketing) and the Key Account Manager (Sales). All the officials were very much cooperative and provided in-depth knowledge about the working process. Sample Size:To collect the relevant information, I have interviewed our KAM (Key Accounts Manager) and 7 product managers from both Pharma and Sandoz division. Although most of the information were collected from secondary source for the sake of this report. Based on these issues my report has proceeded. Data Years: The years I have focused to collect data was 2004 to 2008. But some of the information has been collected from the establishment years also. Active Participation: Some information was collected from the active participation in different projects and assignments during the internship period. It was very much educative and provided quality experience to deal with practical problems. Observation: Some information was collected on the basis of close observation of the processes and activities. The secondary data were collected from the both the Global and local websites of Novartis and from its subsidiaries. Some additional information has been collected from various sources like Bangladesh Pharmaceutical Index, IMS (Information of Medical Statistics), annual reports, Internet, newspapers and features in different e-magazines. After all the information is collected, different types of analysis were done to provide a better understanding of the overview, trends and findings. Further evaluation was done to make sure that the analyses were feasible and relevant to the requirement of the report. The final report writing has been initiated after the above processes are fully completed. The Marketing and Finance Departments are core units of the Pharma division of Novartis. So most of the information is confidential and is not communicable publicly. Most of the tasks of this unit involve negotiating with the third parties (Clients) which require being an employee of Novartis Pharmaceuticals. So, as an Internee, I could not participate in those activities directly, I just had the basic concepts from interviewing.Novartis (Bangladesh) Limited has three core divisions working in Bangladesh i.e. Pharmaceuticals (branded and patented products), Sandoz (generic products) and Consumer Health. As the Internship was performed in the Pharmaceutical division, the strategies of the other two divisions were not included in this report. In the following parts of this report, various aspects of Novartis (Bangladesh) Limited are illustrated and the full work flow of the Marketing department is described.